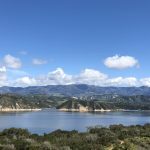 When Ryan and Jessica Carr moved their Carr Winery operations into a sketchy industrial section between downtown and the ocean, into a Quonset hut no less, they probably had no idea that they would be pioneers. Now there is all this (deserved) publicity about the Funk Zone and the Urban Wine Trail, but the Carrs have been there for more than a decade. Ryan Carr was also an original garagista; he first made his own wine in a garage in 1999. Now he produces several thousand cases solely concentrating on Santa Barbara County grapes. But what separates him from many of his peers is that he is a grape grower as well. While he doesn’t own any vineyards, he personally farms the vineyards he leases or manages. And if the best fruit makes the best wine, that’s really important. That allows him to make the wines in exactly the style he wants. 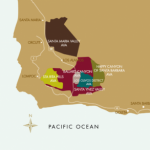 These current releases are full-bodied, well-rounded and have layers of complexity, the kind of wines he likes to drink, as do I.
Carr Sauvignon Blanc, Santa Ynez Valley 2016 ($22): Lemon-lime, green apple, quince and cilantro on the nose; distinctive in the best possible way. Lime first with lemon peel on the rebound in the mouth. The citrus makes it feel sprightly and energetic. Then a rush of fruit: green apple, pear, limeade, orange, tangerine and peach. Fresh and aggressive with its flavors but well-balanced and lengthy on the finish. No shortage of flavor intensity with this sauvignon blanc. Carr Pinot Noir, Sta. Rita Hills, The Yard 2015 ($50): Huge and complex aromatics that hit you immediately when poured in the glass. you can smell it from across the room. Raspberry mixed with dark cherry and a whiff of strawberry, all with an undertone of freshly turned moist earth. 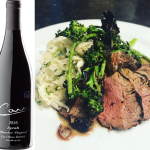 The flavors keep the promise of the nose with rich and mouth-coating plum, raspberry, candied cherry and blackberry, while the latent earthiness segues into a beautiful sense of aged beef. Umami at its savory best is at work! Carr Syrah, Santa Barbara County 2014 ($28): Blackberry, blueberry, with hints of strawberry and cranberry on the nose. Treble notes of plum co-exist in the mix as well. Big, well-rounded flavors in the mouth with black cherry leading the way along with blackberry and pepper. Concentrated with nothing extraneous in the mix, it’s perfectly extracted for maximum flavor and a resilient finish that just makes you want ot pour another glass, sit back and enjoy. Carr Cabernet Franc, Santa Ynez Valley 2015 ($35): Considering that this is the gnarly grape cabernet franc, it seems refined with aromas of bright red fruit, racy jalapeño pepper and green herbs. Smoked meat with blackberry and black pepper on the palate. This is not your father’s cabernet franc. Trust me. It’s delicious and delectable. Who knew locally grown cab franc could be so totally accessible? Yes, pour me another glass. Carr Sangiovese, Santa Ynez Valley 2014 ($35): Dark fruit aromas of black plum and dark raspberry are intriguing in that there’s both a floral and an earthy element in the mix. Bold fruit on the palate as well, this time red berry fruit mixed with the dar, plus subtle barrel spices (from 18 months in 20 percent new French oak). Bitter sour cherry and fresh raspberry come into play as well as a savory sense provided by a hint of green Italian herbs. Bold? Yes, but elegant as well. What a great magic trick. 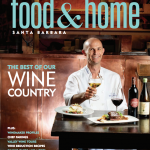 — Schaefer on Wine, Dennis Schaefer is a wine expert who’s column appears every other week in the Food section of the Santa Barbara News Press. 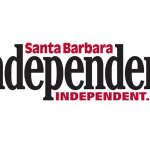 Thank you Santa Barbara News Press and Dennis Schaefer for the kinds words.